Prof. Tingting Fan is an Assistant Professor in Department of Marketing at The Chinese University of Hong Kong (CUHK) Business School. She got her PhD from Stern School of Business, New York University in 2014. She got MS in Economics and BA in Business Administration at Peking University. Her research interest includes quantitative marketing, consumer experience with high-technology products and services, digital marketing (mobile phone, video games, and online social network), branding, and empirical IO (industrial organisation). Her research has won research grants from Wharton Customer Analytics Initiative (WCAI), Marketing Science Institute (MSI), and Product Development Management Association (PDMA). Tingting Fan, Peter N. Golder, and Kevin Lane Keller (Working Paper), “Brand Preference Evolution Among a Developing Country’s Urban Migrant Consumers: A Framework of Intra-Country Economic, Cultural, and Social Distances”. Tingting Fan, Peter N. Golder, and Eitan Muller (Working Paper), “Multi-media and Multi-form Communication: A Framework and Application with Smartphones and Online Social Networks”. 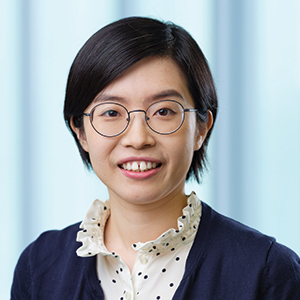 Junji Xiao, Steven Lu, and Tingting Fan (2017), “Examining the Impact of Item-Based Reward Promotions on Consumer Purchase Behaviour across Multiple Product Categories and over Time: An Empirical Analysis,” R&R at International Journal of Research in Marketing. Fan, Tingting, Leilei Gao, and Yael Steinhart (2017), “When Small Predicts Large: The Effect of Initial Small Contributions on Subsequent Contribution to a Crowdfunding Project,” R&R at Journal of Consumer Research. Tingting Fan, Peter N. Golder, and Donald R. Lehmann (2017), “Innovation and New Product Research: A State-of-the-Art Review and Future Research Directions.” In Handbook of Marketing Decision Models: Springer. Tingting Fan, Peter N. Golder, and Eitan Muller (2015), “Dynamics of Multi-Feature Product Usage: Carryover, Spillover, and Social Effects”.